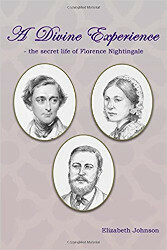 We all have an image of Florence Nightingale - the determined enigmatic nurse, her life devoted to the service of others. The Lady with the Lamp, coolness in adversity, stubborn in the face of an uncaring military, boldly going where woman had not before gone, bringing succour and hope to the victims of war where before they had had none. But how did she come to be such a remarkable figure? What springs drove her on? What experience had shaped this paragon? How did she go from a respectable middle class girl with modest but not inconsiderable expectations of a comfortable, conventional married life to the national figure who until recently adorned our £10 notes. This is a tale of passion across social boundaries, of love denied and its uncomfortable fruits. Of guilt, cover-up and deception, and a child’s fostered life observed from afar by his parents. A tale of an ambition thwarted by parents’ conventional expectations but eventually bursting forth to fulfilment. The well known tale of Britain’s biggest military adventure between Waterloo and Mons, and the part played in it by this remarkable woman. And afterwards the twists and turns of the lives of the players. The adventures of the child, his education, history seemingly repeating with another hidden child. And a final tragedy played out again in the spotlight of publicity in someone else’s war. father served in the Army, returning to England in 1947 after Independence.